To avoid the numerical errors associated with resetting the potential following a spike in simulations of integrate-and-fire neuronal networks, Hansel et al. and Shelley independently developed a modified time-stepping method. Their particular scheme consists of second-order Runge-Kutta time-stepping, a linear interpolant to find spike times, and a recalibration of postspike potential using the spike times. Here we show analytically that such a scheme is second order, discuss the conditions under which efficient, higher-order algorithms can be constructed to treat resets, and develop a modified fourth-order scheme. To support our analysis, we simulate a system of integrate-and-fire conductance-based point neurons with all-to-all coupling. For six-digit accuracy, our modified Runge-Kutta fourth-order scheme needs a time-step of Δt = 0.5 × 10−3 seconds, whereas to achieve comparable accuracy using a recalibrated second-order or a first-order algorithm requires time-steps of 10−5 seconds or 10−9 seconds, respectively. 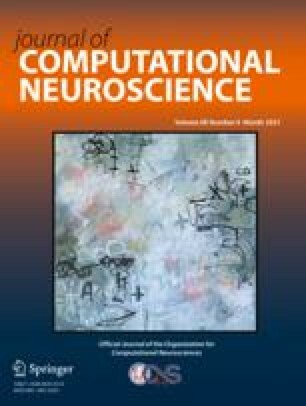 Furthermore, since the cortico-cortical conductances in standard integrate-and-fire neuronal networks do not depend on the value of the membrane potential, we can attain fourth-order accuracy with computational costs normally associated with second-order schemes.